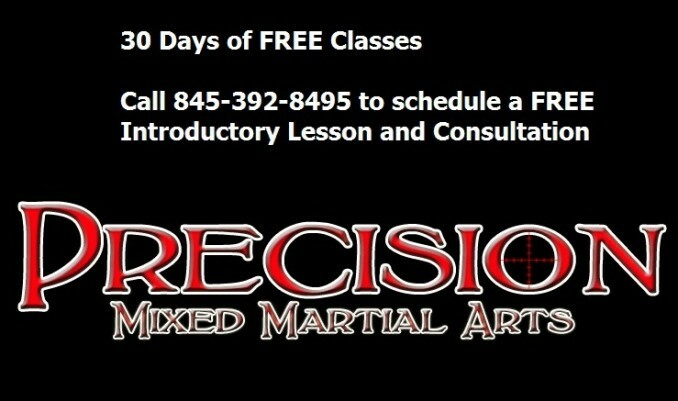 Precision MMA has an incredible offer for Hudson Valley martial arts enthusiasts. Now you can check out Precision MMA’s martial arts classes including Brazilian jiu-jitsu, muay thai kickboxing, Judo, boxing and MMA FREE for 30 Days. Bonus Footage: The 5 MUST Know Punches of Boxing! PLUS receive training tips, upcoming local fights, seminars and other special private invite only events and more. You 'will not' get junk in your email box from us! Enter your name and email right now and click the button that says "Give Me My Video!" to get started.